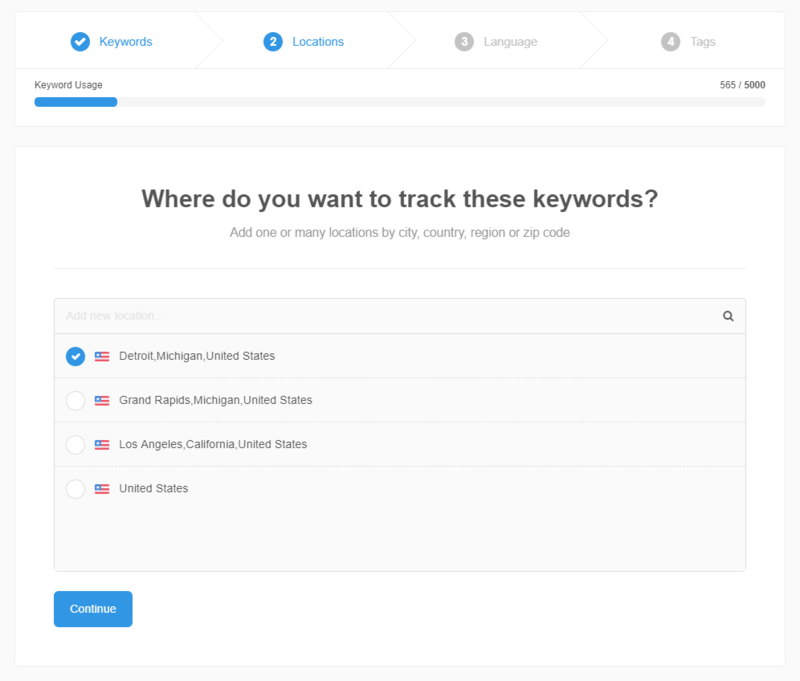 To assign a new location to existing keywords, simply add your keywords with location(s) the usual way (the instructions are here). That's it! We treat new locations as different searches (even for the same keyword), because technically you're doing a completely different search when searching from a new location. For example, searching for "pizza" in New York will give you very different results compared to searching for the exact same thing from within LA. Sometimes you might want to add a new location to a large number of your current keywords. You can use our export feature in this case, to save having to type each keyword manually. To do this, click the Export button at the top right of your SEO > Rankings dashboard, and select XLS. 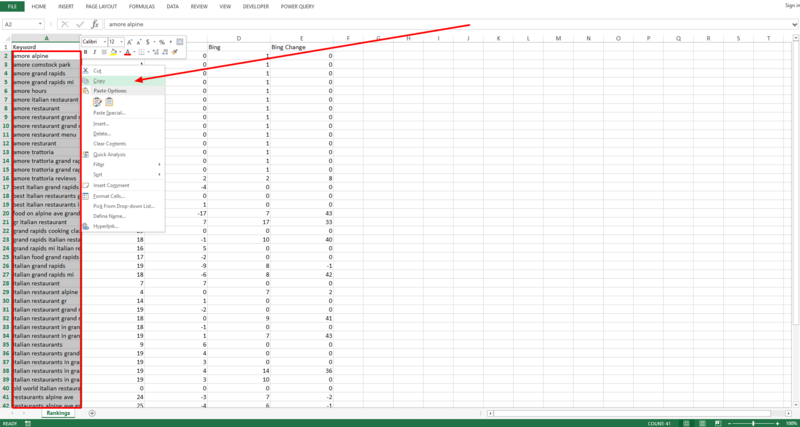 This will output an XLS spreadsheet file. After downloading this file you can open it, and copy all relevant keywords in column A. From here, click the Add Keywords button in your Rankings dashboard to add keywords like normal. 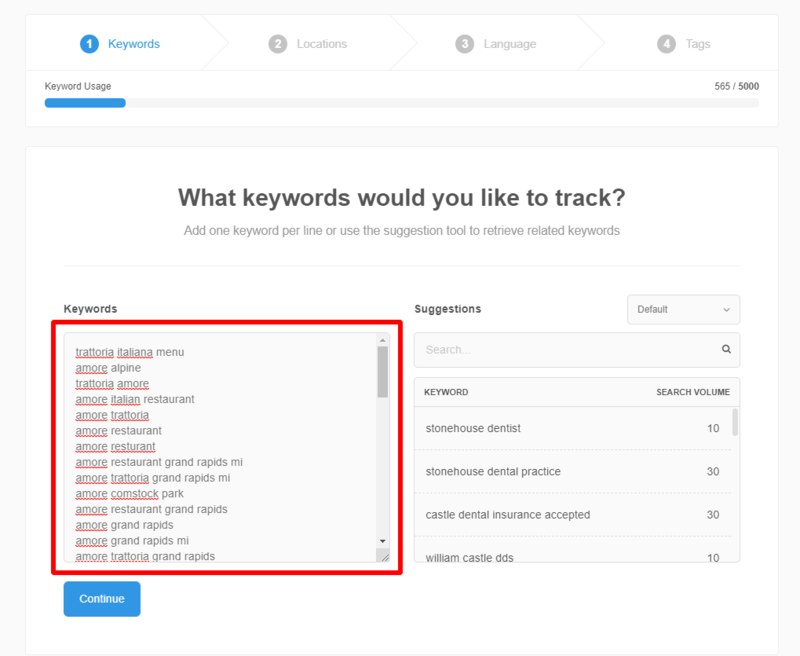 Paste your copied keywords into the Keywords box. Then, in step 2 of the "Add Keywords" wizard, enter your new locations for those keywords. Finish stepping through the "Add Keywords" wizard to finalize adding those keywords with their assigned locations.